Please do not even consider selling an item if it has a missing piece, a stain, tear, excessive wear, smoke or musty smells, etc. 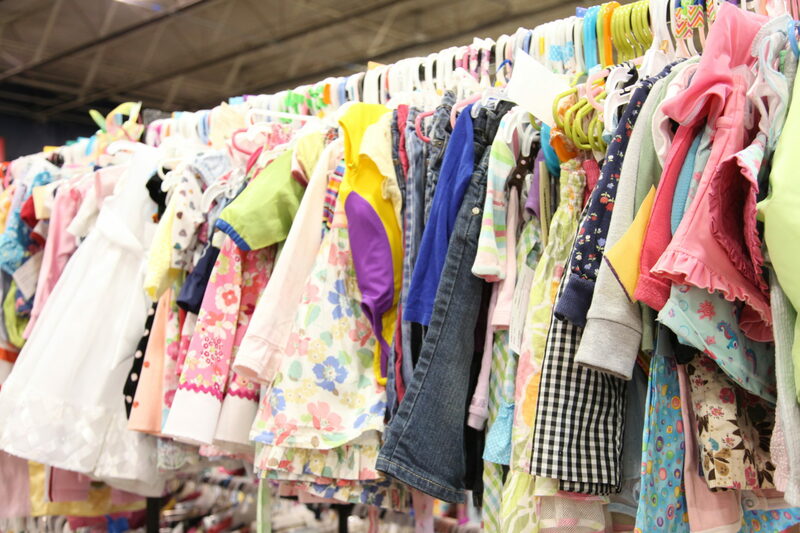 All items (including clothing, toys, books, etc) must be priced at a minimum of $2. If something only has a $1 value then you will either need to bundle it with something else to make an outfit or multiple items otherwise, please leave it at home!! Do NOT take an item that should cost $1 and price it at $2, it will NOT SELL!! Please understand that in order to keep our customers coming back from season to season we can only offer items that are in season & in great working/wearing condition!! This is where things might get a little confusing…our racks are set up this way. So if you have an item that does not fall into one of these sizes (3mos; 0-6mos, etc) you will need to choose where to hang the item. We recommend that you size down since used clothing items are washed they may run smaller than when purchased new. But you may size up if you feel an item runs large. The limits are based on our racks so if you have put your 0-6mos item in the 0-3 category, then that counts for 1 in that category. You can adjust that item though to put it in 3-6mos if you have reached your limit already in 0-3. I hope that makes sense! Shoes – maximum of 10 pairs of shoes per consignor. Kids wear their shoes hard so please make sure they are in great condition before you try to sell them! Gloves, Hats, Heavy Jackets – these are accepted during the Fall sale seasons or ALL season sales ONLY. Please do NOT bring in the Spring sale season. Outdoor Toys (Outdoor play equipment, outdoor children’s furniture, beach gear, bathing suits) – these items are accepted in the Spring & Summer Sale seasons ONLY. Stuffed Animals – ONLY those that do something (move, music, talk, etc) and they MUST work with batteries. Cribs – Please not that we will NOT accept cribs manufactured prior to June 28 2011. ALL cribs must have the manufacture date on the crib showing it was made after this date. Sports Equipment & Accessories – cleats, shin guards, baseball gloves, etc. Anything else related to children!! FREE ITEMS – free formula samples, free toys from fast food restaurants, free diaper bags, etc. CRIB BUMPERS – The sale of these items has been outlawed in the state of Maryland. Please remove these from any bedding set, they are NOT permitted for sale. Mesh bumper pads are still OK. Underwear – please leave used undergarments at home! !